Holy crap i’m back to it again.. mileage is averaging about 20-25/weekly and i’m slowly starting to throw speed & hill work in. For those of you that might be interested i’m fusing the Crossfit Endurance 1/2 marathon plan and also an intermediate traditional running plan from Competitor.com together so i can run happy this fall. As much as i love the CFE training, there are no easy runs or ‘junk miles’ or long runs built into it. It’s all business. And for me to run happy and feel good I need the easy mileage! I love the long runs, and I like the carefree, go at whatever pace, fun runs. Which is why i’m merging the two plans together. 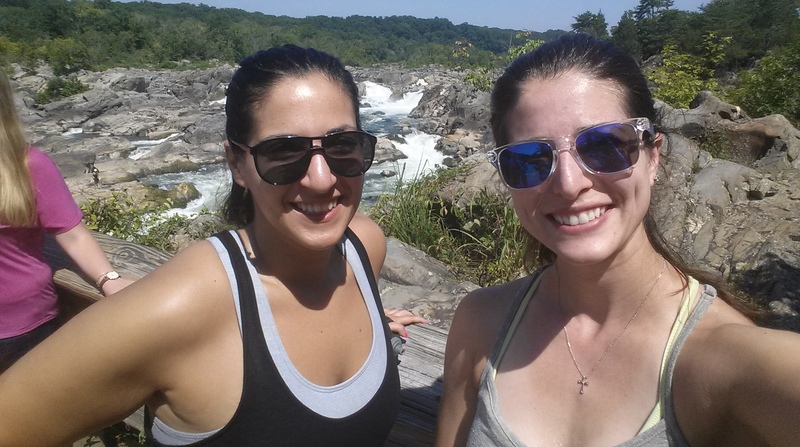 *sidenote: all the pictures in this post have nothing to do with easy miles..unless you consider that hiking on Billy Goat Trail is no joke and definitely a hard cross training day.. Deena & I did 5 miles which took over 2.5 hours! crazy! Let’s talk about something I mention often. Junk miles or the easy, recovery/optional miles. Junk miles are only “junk” if they don’t have a purpose in your training. For instance, my body doesn’t handle high volume very well. I believe this is due to the nature of my work–i’m on my feet training people the majority of the week, therefore i don’t have a ton of recovery time off of my feet in between harder running workouts. I benefit greater by strength training and cross training instead of running easy/junk miles just to add volume. HOWEVER—>there are plenty of benefits to easy running. There are also some not-so-good things about the easy extra mileage. It gives less time to cross-train, strength train, & to actually let your body recover completely. It’s still a high impact activity. I have a hard time with the concept of recovering from running by running more. It’s like if i did pushups one day, and recovered with pushups the next day—>but on day two i did less pushups at a slower pace…kinda makes me sound like a crazy person right? But in the same instance you could do pushups everyday if you wanted to, it’s whatever works for you. Is all of this giving you a headache too? I guess what I’m trying to say is you do you! Each individual runner needs to determine how many rest days and how many running days they need to stay healthy, progressing, and also give enough time during the week to balance out the cross-training, strength training and recovery. 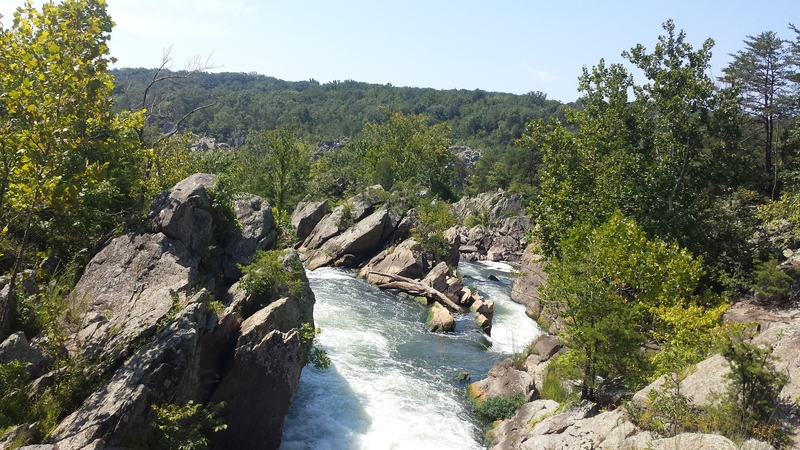 Categories: Uncategorized | Tags: billy goat trail maryland, building mileage, easy miles, junk miles, Potomac River | Permalink. Great post! I am working towards being able to run higher mileage. Last week was my highest mileage week in over two years, and my fourth consecutive week of increasing. This week, I am cutting back to let myself recover. I think it’s not only important to build recovery days (whether you recover with a slow run or by cross training) but to have weeks where you cut back and let your body just absorb the effects of the training. Totally agree with you. I have cut back weeks with both running and strength training. And I love those weeks! I think that the key is what you say – figure out what works for you and implement a plan that takes advantage of that! From there – plan the work and work the plan! I also think your analysis of ‘rest’ is very important … I was in a statistics training class the last two days, and on Tuesday it really hit me how much the constant sitting was bothering me – so yesterday I took the first 15 minutes of lunch to do stairs and walk laps around the training center. Your body gets used to a certain amount of activity, and I get in thousands of steps on top of the 10+ miles I run most days, and feel lethargic if I am not moving. But my real point is that most of us aren’t very good at the ‘rest’ thing … I have a good friend who has multiple mylenoma (cancer) and was in for stem cell therapy (also chemo, etc) and was able to bring in his bike trainer and walk the floor to get as much activity as possible! He is fortunate in that way. And I keep drifting away from my point … 🙂 Our bodies need to recover, and NOT to try to match someone else. If you cannot handle heavy volume, then make sure to REALLY rest. My body responds differently than anyone else’s, and so long as I can stay happy, healthy and uninjured … I’m not changing! Also – love all the pics! You’re so right! I refuse to think of “junk miles” since every mile counts in my training, even if it is a recovery run or easy pace. I just need to remember to listen to my body, since I did too may easy miles a few weeks ago and got injured! Totally, every mile counts. I have a hard time keeping easy miles easy, which is why it’s better for me to keep them to a minimum. Sorry to hear you got injured. Hope things are feeling better! 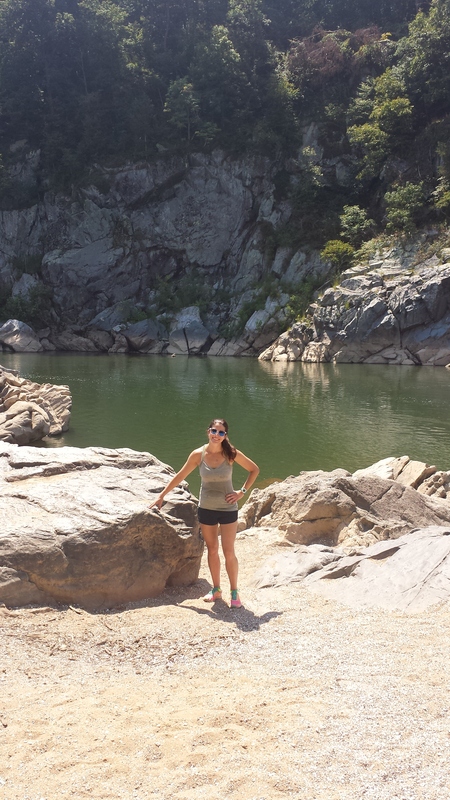 I love the Billy Goat trail! I am sad that I did it only one time, but it was great. I completely agree with you – long runs, easy days, etc. are all necessary and kudos to you for making sure that those days are in your plan. I do billy goat about 3x a year, love it!